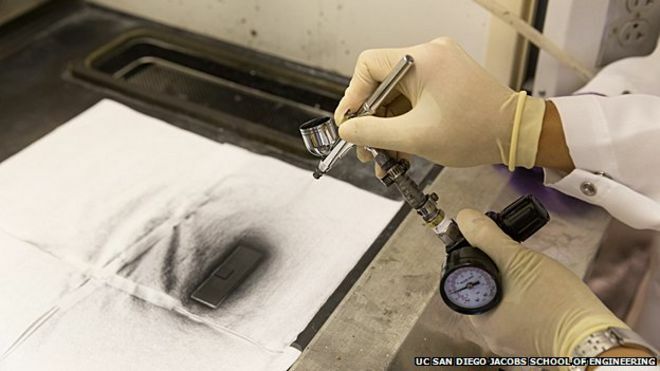 In a cramped laboratory on the campus of the University of California San Diego (UCSD), graduate student Lizzie Caldwell is hard at work, painting tiny squares of metal with a fine mist of black paint. As experiments go, it doesn’t look terribly impressive. Yet the paint she is using is highly sophisticated – the result of intensive research. 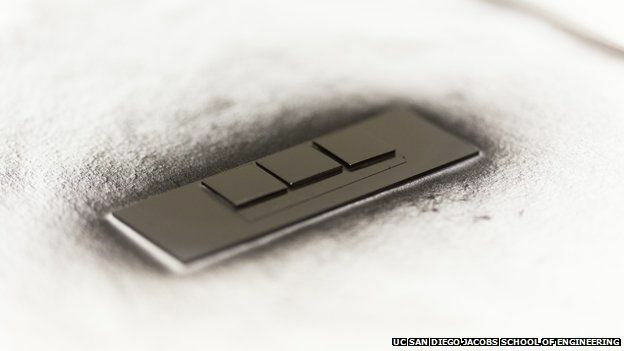 It is also probably one of the blackest materials ever created. 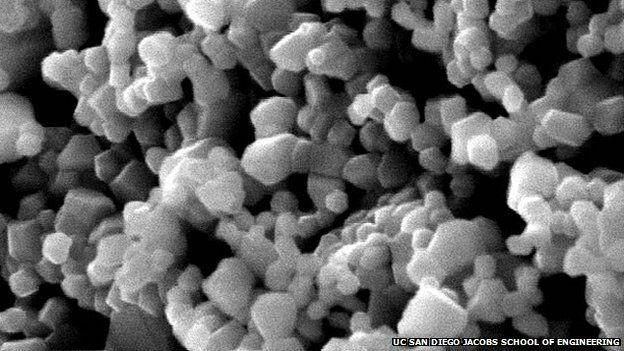 What the research team at UCSD are trying to do is make large-scale solar power generation more viable, by creating a material which can absorb a greater quantity of sunlight than existing coatings, and last longer. 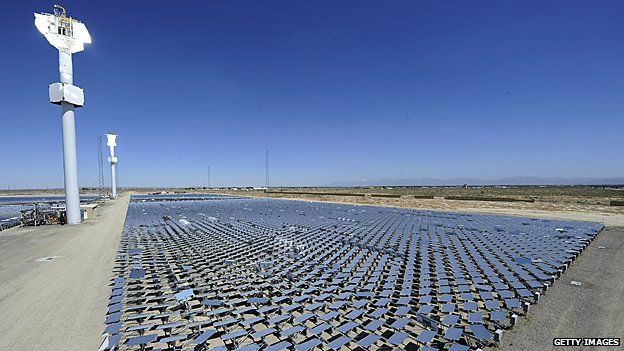 The paint is being developed for a new generation of so-called concentrating solar power plants (CSP). These use thousands of mirrors to focus sunlight on a central tower, which is coated with a dark, light-absorbing material. The light is converted into intense heat, which is used to make steam. The steam can then be used to drive turbines, in order to produce electricity. It is a very clean form of power generation, and existing plants which use coal or other fossil fuels can be converted to use the technology. In addition, heat can be stored so that power generation can continue even when the sun isn’t shining. However, there’s a catch. The light-absorbing coatings which are currently used aren’t really up to the job. They aren’t efficient enough, can’t withstand the highest temperatures and, out in the elements, bombarded with intense sunlight, they don’t last very long either. According to Professor Renkun Chen, who is helping to lead the research, the new material will be very different. “First of all, it can absorb the light at a very high efficiency. And secondly, it can withstand very high temperatures in air, above 700 degrees Celsius. That isn’t possible with existing materials”, he says. The secret of the new paint lies in nanotechnology – creating a surface made up of layers of microscopic particles. It is designed to minimise reflection. The research team claims that it can convert up to 90% of the sunlight it captures into heat. “The size of these particles matches the wavelengths of light, which is in the order of a few nanometres”, Prof Chen says. “So when light gets in, it will get trapped. It’s as though it gets lost in a miniature forest, and never comes out”. That is the theory, at any rate. But the mosaic of small metal tiles lined up in the lab for testing is testament to how challenging it is to put that theory into practice. Each one represents a slightly different technique or chemical formula, as the team searches for the right balance of light absorption and durability. Fifty shades of black, if you like. “Right now we’re just playing with a lot of different ideas that we’ve been talking about for the last few months and years” says Lizzie Caldwell. “We want to make sure we get the perfect, blackest colour”. The research has been funded by the US government’s SunShot initiative, which hopes to make solar energy as financially competitive as other forms of power generation by the end of the decade. There is clearly a very long way to go. Solar energy still accounts for less than 1% of all mass electricity generation in the US, according to the US Energy Information Administration. But that figure doesn’t tell the whole story. Solar capacity is growing rapidly, particularly in energy-hungry California. Moreover, the number of homes and businesses using solar panels to generate their own power has risen dramatically over the past five years. It isn’t just happening in the United States. In China, generous subsidies have led to a very rapid growth of solar power generation over the past few years. This has come partly in response to the country’s voracious appetite for power and the need to curb severe urban pollution. But China has also become a major exporter of cheap solar technology, which has brought prices down worldwide. And according to Professor Chen, CSP in particular has the potential to become a major source of clean energy in developing countries, reducing their reliance on burning fossil fuels such as coal. 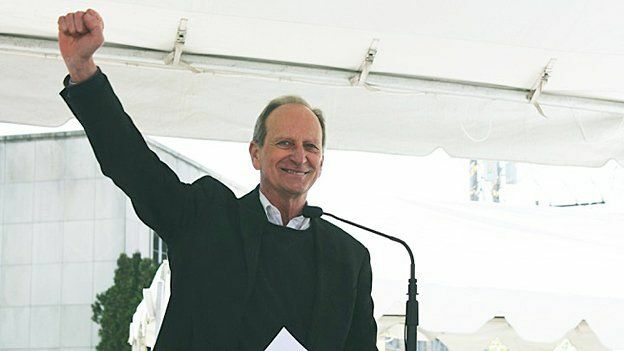 Renowned environmentalist Denis Hayes, who now leads the Seattle-based Bullitt Foundation, thinks that we could be heading for a golden age of solar power. “With solar, if you take a unit of area, there’s only so much sun that is going to strike it,” he says. “So if you can get twice as much electricity out of that sunshine, and it costs no more or even less than before then suddenly you’ve transformed the market”. He thinks that one day, entire cities could be powered by the energy of the sun, with the fabric of the buildings themselves being used to trap solar energy. It’s fair to say that such a sunny utopia remains a very long way off. However, research such as that being carried out at UCSD just might bring it a little bit closer. So if there is a golden age approaching, it may owe a debt to some very, very black paint.